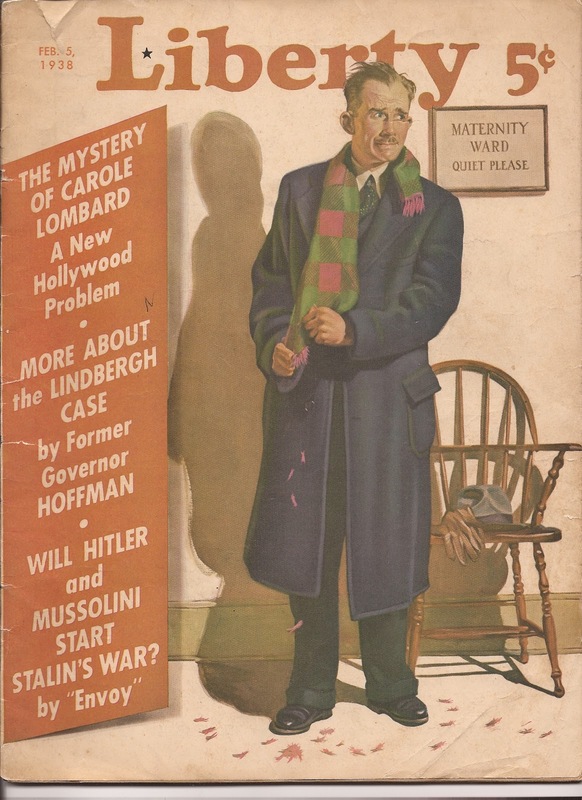 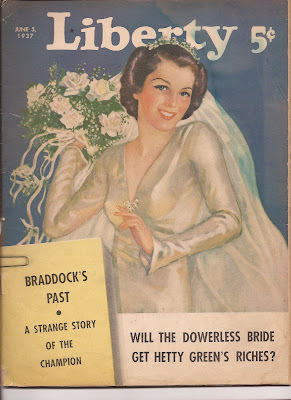 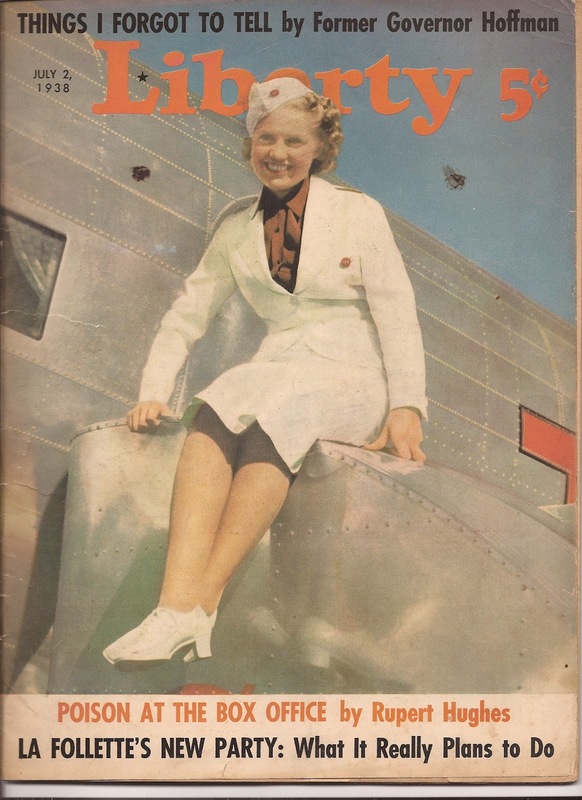 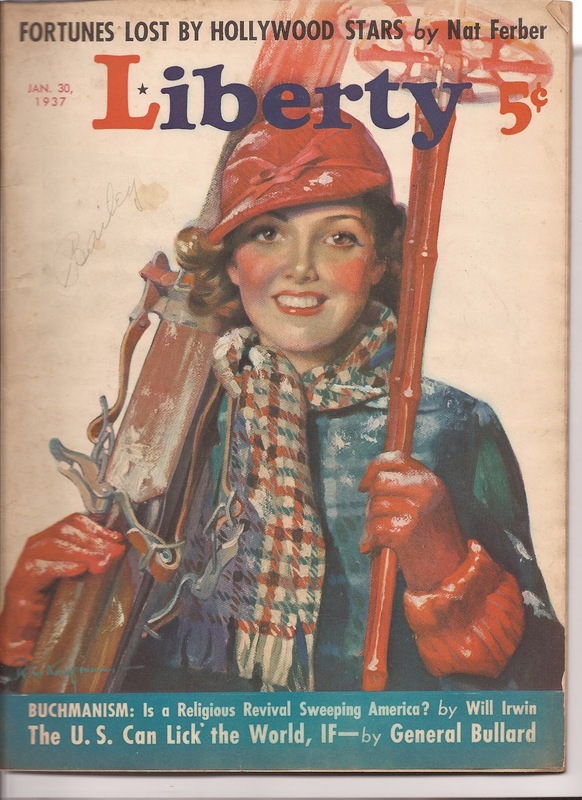 I came across a group of magazines from the 1930s that were new to me. 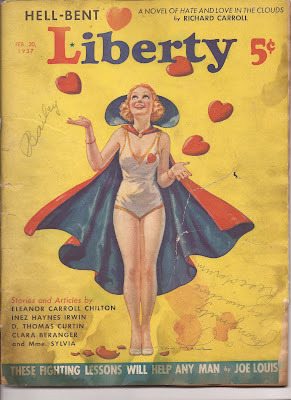 Liberty Magazine. 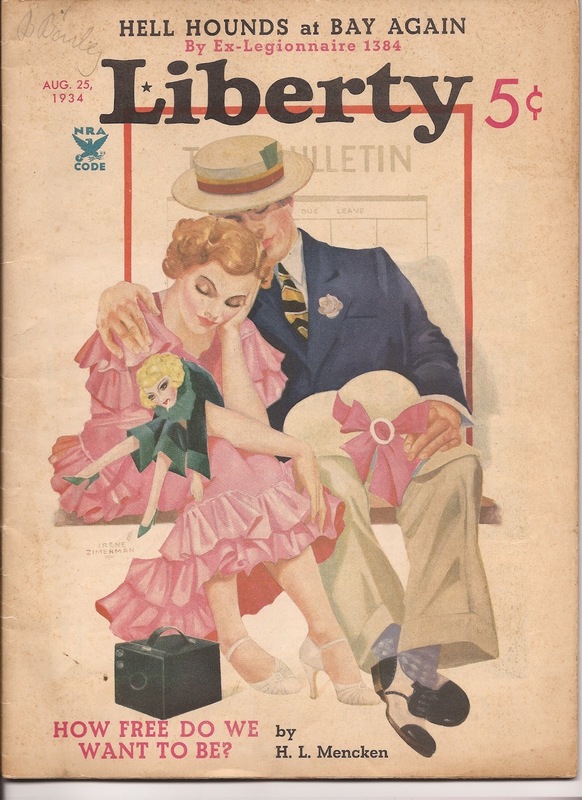 The covers are beautiful Rockwell-like illustrations. 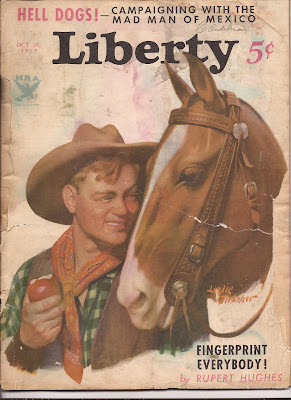 Inside, the magazine says it is "For Liberals with Common Sense." 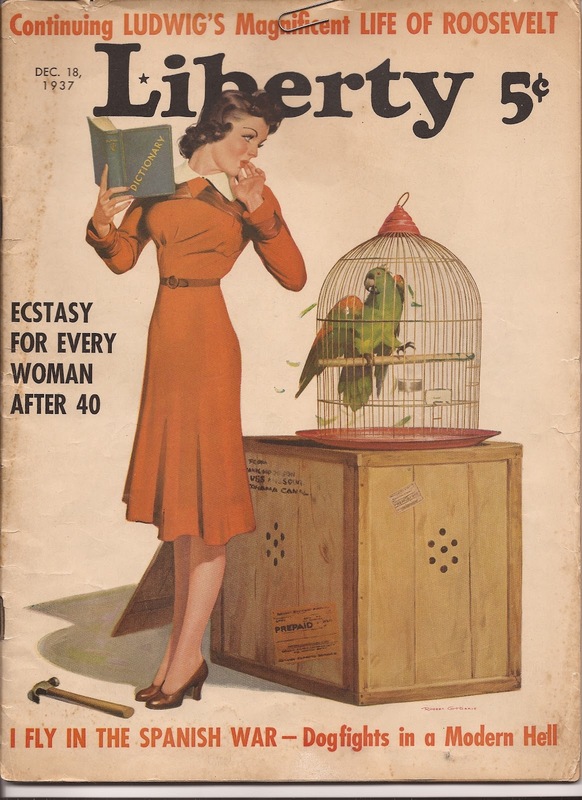 They also advertised with the phrase, "A Weekly for Everybody!" 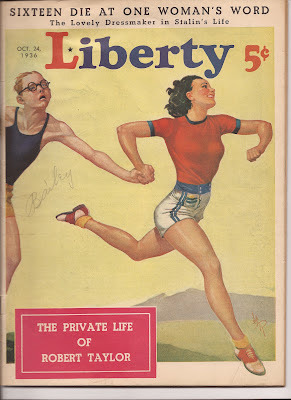 Liberty's main competitors were the Saturday Evening Post and Collier's. Liberty included the Blue Eagle of the National Recovery Administration on its cover. The NRA was intended to assist the recovery of industry and agriculture during the Great Depression by bringing them together with government to create codes of "fair practices." The NRA was deemed unconstitutional in 1935 by the U.S. Supreme Court, but was replaced in many ways by the National Labor Relations Act. 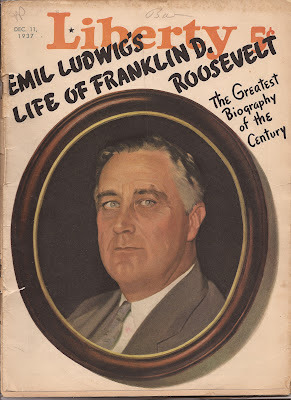 Both guaranteed some form of rights to labor organization and negotiation. The magazine covered a lot of ground, heavy on politics and national affairs. It also offered short stories, essays and serialized novels, as well as plenty of Hollywood gossip and features. The cover illustrations really caught my eye, too. One of the main illustrators for Liberty was Leslie Thrasher. 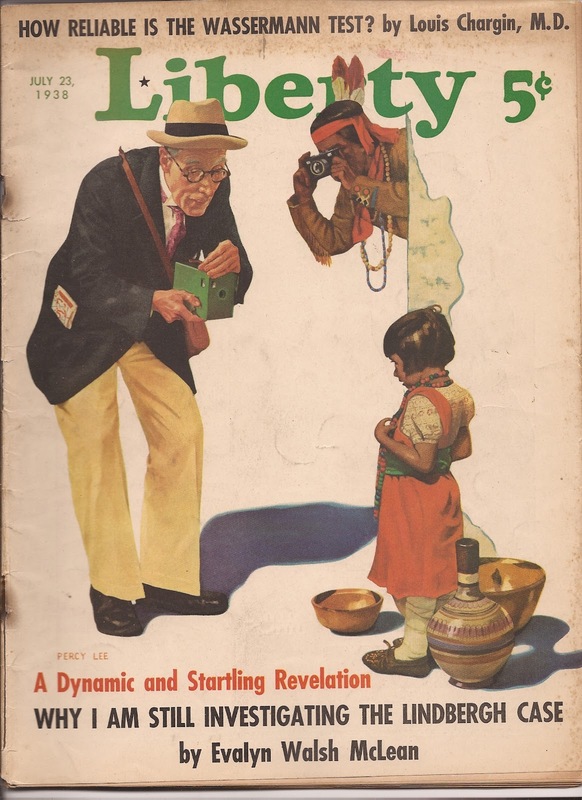 He also did twenty-three covers for the Saturday Evening Post where his counterpart Norman Rockwell also worked. Here are the ones that came bundled with a bunch of other 1930s periodicals. 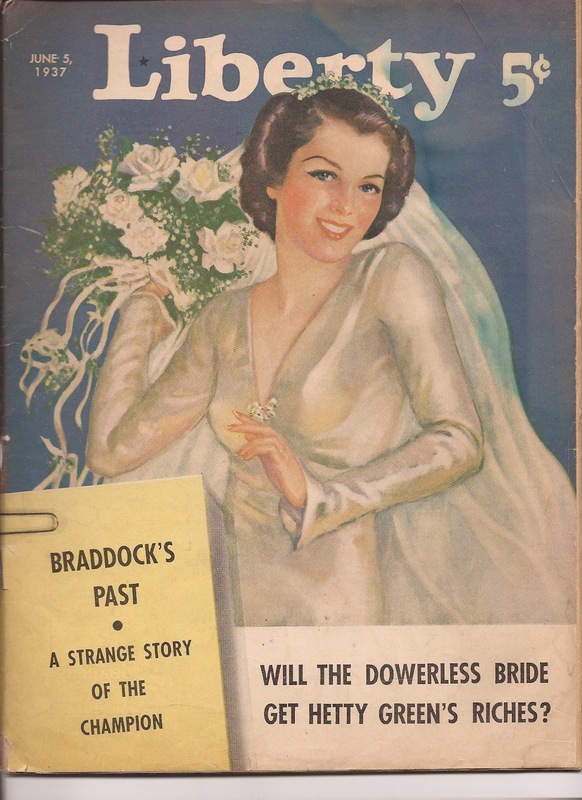 And last but not least, a cigarette ad from the December 11, 1937 issue. 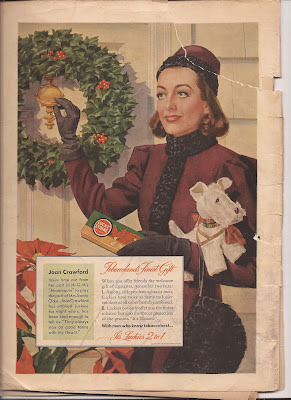 Can you imagine receiving a carton of Lucky Strikes from Joan Crawford for Christmas?